Four carriers, one submission. Broader options put choice and quality at your fingertips. I had a neighbor who reduced the number of bedrooms in his house from four to three by turning the smallest one into a large walk-in closet for the master bedroom and using the existing closet space to expand the master bath. It was very nice. But when he sold the house his Realtor said that the addition of the much larger closet and extra bathroom space didn't make up for the loss of the fourth bedroom. Usually, updating and remodeling your house will increase its value at the time of sale. For example, according to this recent infographic, adding a fence can actually pay for itself. 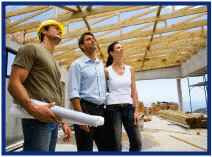 Home remodeling often means home contractors. And Big "I" Markets has a market for that! Available in AZ, CA, ID, MT, ND, NM, NV, OR, TN, TX, WA, WY. Coverage available in all states except New York. Coverage options may be different in the following states: AZ, CA, ID, MT, ND, NV, NM, OR, WA, WY. Several hundred Big "I" members tuned in last week to the Big "I" Professional Liability/Swiss Re Corporate Solutions Agency Risk Management Essentials webinar, Swerve to Avoid Agency Liability: All About UM/UIM. Feedback from attendees was positive-we heard from several agents who found the session extremely valuable. If you missed it, you haven't missed out! You can watch the webinar in your own time. Gather your key staff, pop some popcorn, pull up a chair and take in some knowledge on this hot agency E&O topic. Visit E&O Happens to access a recording. 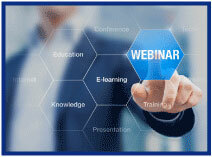 Big "I" Professional Liability offers these free quarterly risk management webinars as an exclusive Big "I" member benefit. Watch this space for information about the next session, scheduled for June 2018. A wealth of agency risk management information is also available 24/7 to Big "I" members at www.iiaba.net/EOHappens. Affluentmagazine.com is a web site devoted to "living the good life better than ever." Just a moment spent paging through its articles on spas, luxury hotels, and exclusive golf courses is enough to remind the reader that the very affluent live a very different life than most. VARIOUS DISCOUNTS: discounts are available on ADT for home security and H20 Damage Defense. PROPERTY MANAGER - a FREE service that provides for the automatic deployment of a Chubb representative to your client's home (**must be a secondary home with wind coverage**) after a hurricane to assess damages. Available in Alabama, Connecticut, Delaware, District of Columbia, Florida, Georgia, Louisiana, Massachusetts, Maryland, Mississippi, North Carolina, New Hampshire, New Jersey, New York, Pennsylvania, Rhode Island, South Carolina, Virginia & various coastal TX counties. Congratulations to our agent in Congratulations to our agent in New Jersey on a Habitational - Condominium sale of $21,698 in premium!